Insides from Breast Cancer researcher Dr Luca Magnani (ICL, UK). EpiPredict PhD fellow Simone Borgoni (DKFZ, DE) interviewed Dr Magnani and wrote a blog for Medium. Read it here. 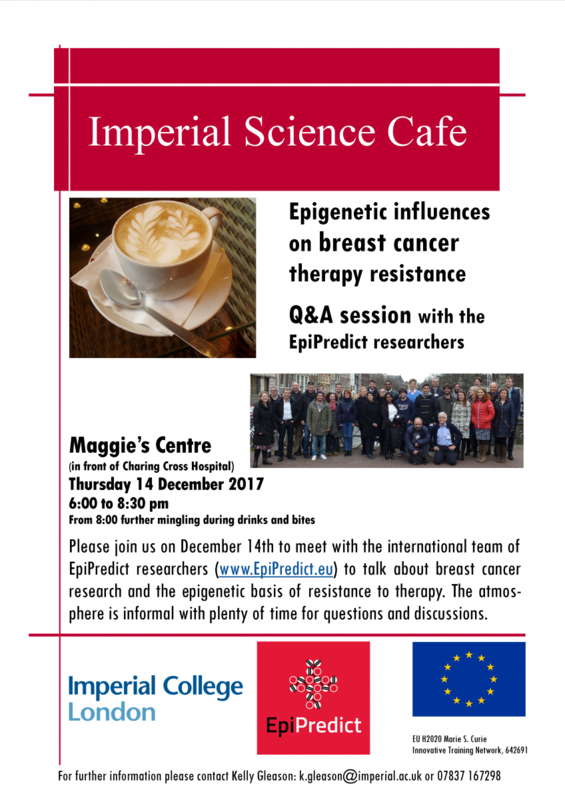 The blog followed our Imperial Science Cafe we had at the Maggie's Centre at Charing Cross Hospital, December 2017. Together with (ex-) patients and/or their representatives we talked about breast cancer research and the epigenetic basis of resistance to therapy.